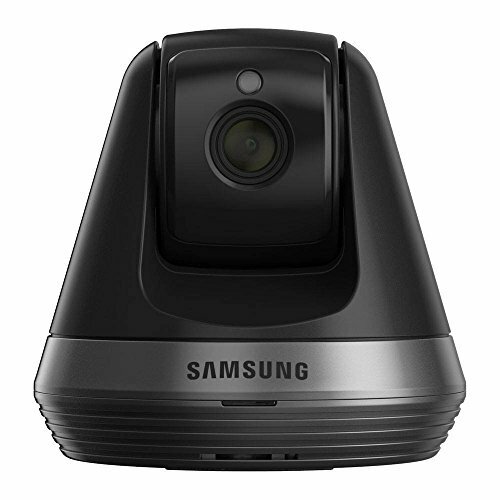 Always stay connected to your home with the Samsung SNH-V6410PN SmartCam PT. Innovative features such as Two-Way Talk, Advanced Audio & Motion Detection, and True Day & Night allow you to look after your home from anywhere in the world. Experience a large, clear image on your mobile device or computer/laptop with the available 1080p Full HD recording. With the new Auto Tracking feature, the camera will automatically follow a moving object and the Privacy Mode will give you the ultimate sense of protection. / This product is manufacturer refurbished, it has been inspected, cleaned, and repaired, and is in excellent condition. It carries a 90 day warranty from the manufacturer and lifetime technical support provided by Wisenet Tech Center. Pan & Tilt - Watch action taking place anywhere in the room with the 350° pan and the 155° tilt feature. Combined with the 1080p Full HD resolution, you won’t miss a thing. Clear Picture Day & Night - SmartCam’s Wide Dynamic Range automatically detects when the light needs balancing and adjusts to keep your viewing clear, even in harsh lighting. With Night Vision up to 16ft, you’ll always get a smooth picture. The camera accurately corrects low-light video and produces clear footage even in pitch-black darkness.